Scotland’s premier celebration of electronic music is set to provide music lovers with another unmissable weekend as they return for their 7th year. Curated by Electric Frog and Pressure, they will be bringing the biggest and best artists from the cutting edge to the unique and iconic location of the Zaha Hadid designed Riverside Museum. Denis Sulta has rapidly emerged as one of the most exciting new prospects from the ever-fertile Glasgow scene. His unique sound and meticulous and diverse approach to dance music has seen his stand out capabilities reach unbelievable new heights. On Saturday Sulta curates his own Riverside stage for the first time. Since 2009, La Cheetah Club has played host to international big hitters, underground up and comers and provided a platform for Glasgow’s wealth of local talent. 2019 sees La Cheetah mark 10 years in the game and this will be celebrated fully at the Riverside Festival as they take over a stage with an eclectic line up of La Cheetah favourites and special guests. Slam’s unique series of Maximum Pressure parties have become the highlight of Glasgow’s clubbing calendar. The duo, who release their Athenæum 101 album today on Soma, will mirror this experience when they bring the unrivalled atmosphere and strong techno-orientated line-up to their festival. As producers, DJs, label founders and avid record collectors the Belfast-born, London-based duo Bicep ,have become 2 of the most trusted curators of electronic music of the last decade. 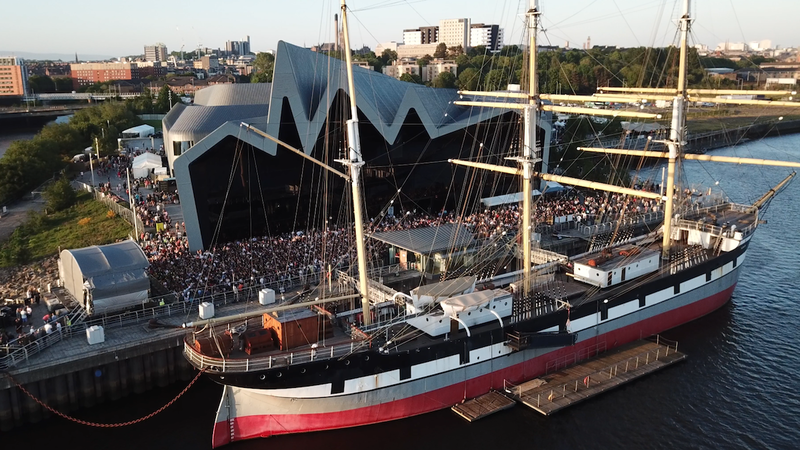 In between touring the world over and selling out a long list of feel my bicep parties, we are thrilled to welcome them to the banks of the Clyde for the first time.